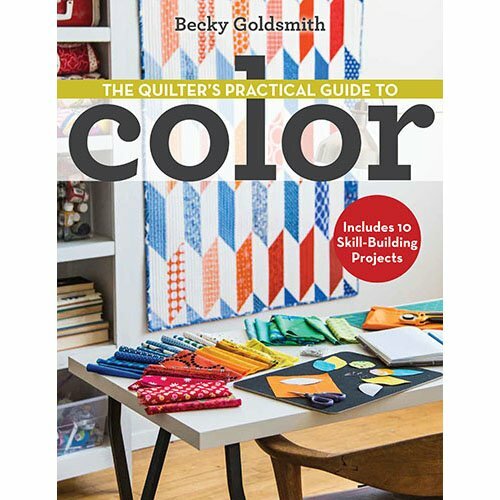 If color makes you nervous, this is the book for you! 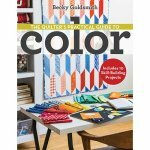 It is full of truly practical information for quilters of all skill levels. This is not a book that is full of 'color theory'. I don't want to imply that theory is bad, because it isn't—it's more that I wanted to write a book that had practical, easy-to-understand advice about how to use color. The first half of the book is full of all sorts of color information that you may not have heard before. For instance, did you know that every quilt has a foreground and a background—even pieced quilts. Once you can see the underlying structure of a quilt, it is much easier to color. There are 10 pieced and appliqued projects that I designed to focus on specific aspects of color. Most of these quilts are both quick and visually interesting. Click here to see additional pictures of the quilts in the book. "I found your Practical Guide to Color in our local library. It's riveting! Thank you for answering every question I have rattling through my brain and for this new found confidence I have in possibly attempting appliquÃ©. Been quilting for over 20 years; sewing for over 40. I can do this! Thank you! Oh, and I will be purchasing my own copy of the book! This copy will be dog-eared by the time I return it!" â€” Joanne W.